The producers of Game Of Thrones are going to some pretty extreme lengths to protect the secrets of their final season. According to the New York Post, actors on the show have only been given special digital copies of the shooting scripts that will “disappear” immediately after filming. Where previously a watermarked script or a kind suggestion from the producers did the job, these new digital self-destructing screenplays are the newest defense against pesky leaks and spoilers. It’s hard to blame HBO for being so protective of its baby. 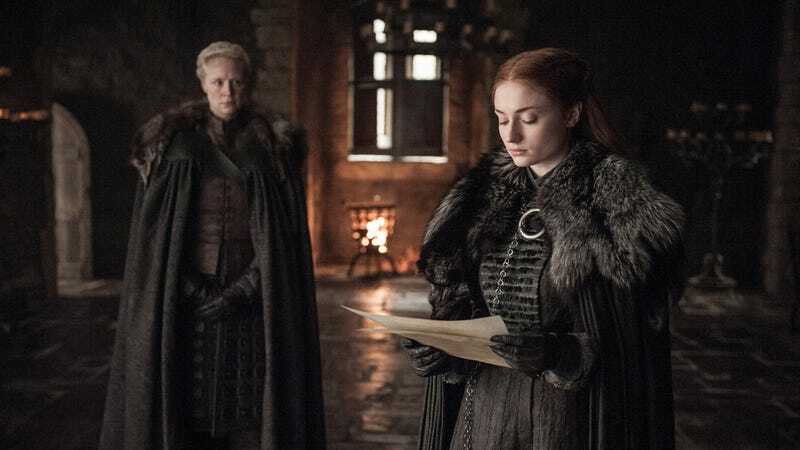 Every new Game Of Thrones season is accompanied by a lengthy discussion about spoilers, especially since the show moved beyond the books and those spoilers tend to carry more weight (or less, depending on who you talk to). Also, the minority of hyper-aggressive fans who sometimes go as far as to sneak onto set during filming aren’t doing them any favors. But HBO isn’t the only company frantically trying to keep its creative properties under wraps. As reported by the Times, Disney prints all of its Star Wars scripts on dark red paper, which is impossible to photo copy, and, during the filming of Captain America: Civil War, it required all scripts to be shredded at the end of the day. Still, preproduction leaks are only half the battle. Game Of Thrones is still the most illegally downloaded show on television and, in past years, it’s had to contend with hackers leaking whole episodes online early. It remains to be seen if HBO will devise a way to combat these attacks as well. Perhaps self-destructing episodes that disappear after you watch them?